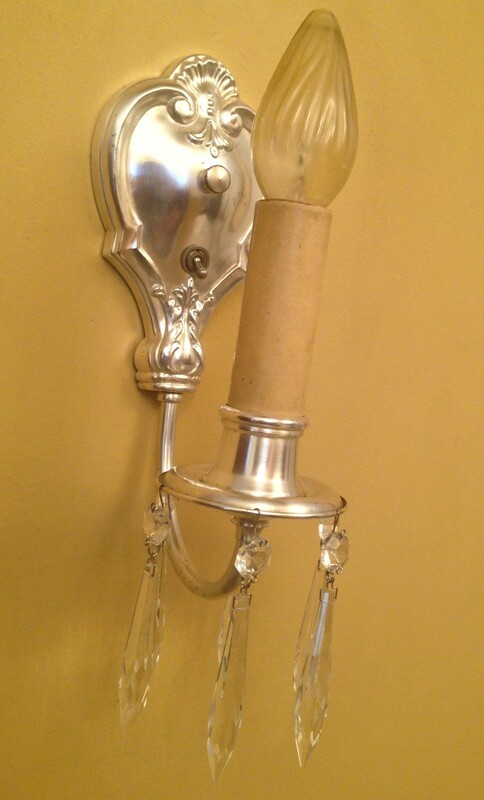 I purchased a pair of sconces. Nice, but not, well, luscious. After the old yellowing lacquer was removed, the silver-plate polished, the dirty but original candle covers cleaned, and the missing crystals replaced, well, oh là là! 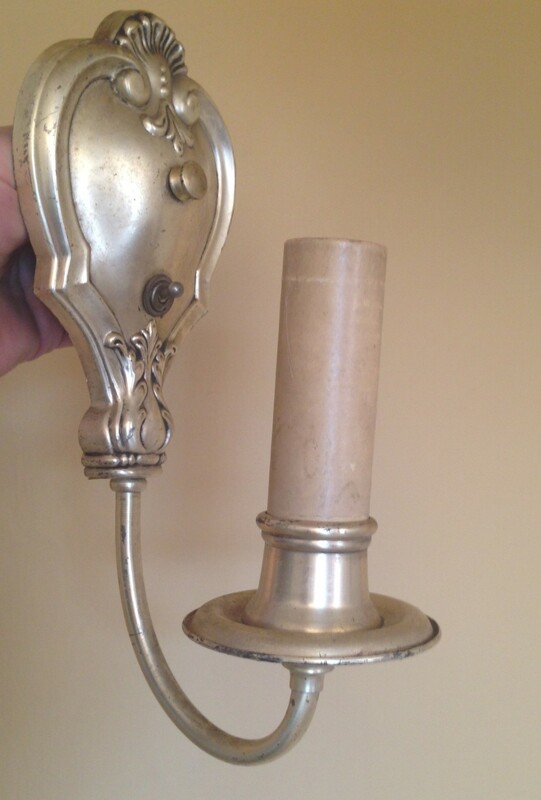 How do you remove lacquer from silver-plate or brass? This change is remarkable. You have me looking at light fixtures when I’m in thrift stores or old houses. Went to an estate sale in an 1894 mansion yesterday but he only let us go in the main rooms downstairs. Decided the lighting fixtures weren’t original, based on reading your postings. I just use paint stripper! Oh. I’m not very handy but I could probably tackle taking off the lacquer with pain stripper. Thanks.